If cocaine smuggler Baldev Singh ever comes back to Canada, he’ll be facing 12 years in a federal penitentiary. A Superior Court judge in Windsor last week sentenced Singh in absentia for coming across the Ambassador Bridge on the morning of March 19, 2009, with 69 kilograms of cocaine hidden in a shipment of California oranges. 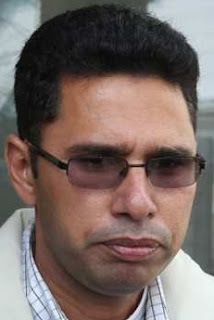 In September 2014, Singh was convicted for importing cocaine. He didn’t turn up for subsequent court dates or for an interview with a probation officer who had been tasked with writing a background report on him for the sentencing judge. Singh, 46, was free on $210,000 bail throughout his trial. Only $40,000 of that money had ever been deposited with the court. 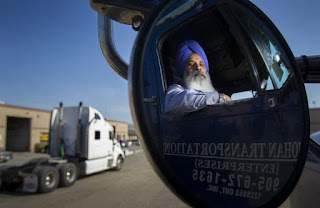 The trial heard that Singh was the lone occupant of a truck carrying Sunkist oranges picked up in Woodland, Calif. The truck, owned by East West Trucking Inc. of Mississauga, Ont., was pulled in for inspection when it arrived at the Ambassador Bridge three days later. The cardboard crates of oranges were unloaded and a drug dog went through them. The dog detected nothing, the trial heard. The dog’s handler decided to perform a training exercise with the dog, hiding a dummy stash in one of the crates. 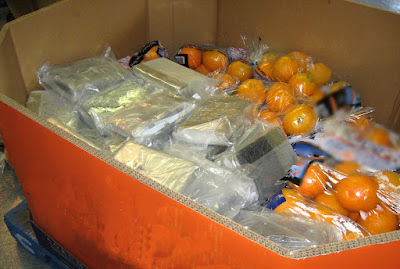 When the handler removed a bag of oranges to hide the training aid, she found 21 bricks of cocaine hidden in the crate. A second crate contained another 48 bricks of cocaine. 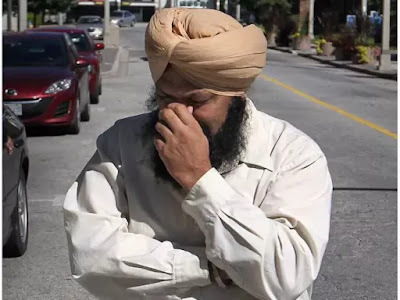 Karamjit Singh Grewal was found not guilty of smuggling 82 kilos of cocaine in 2009 Members of southern Ontario’s Indo-Canadian community, in particular from Brampton and Mississauga, are increasingly being lured into the North American drug trade. An estimated 65 per cent of Ontario’s long-haul truck drivers are Indo-Canadian, making them logical targets for drug traffickers. They will gladly do long-haul jobs shunned by others that can mean being on the road for weeks. 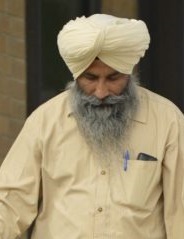 Kuldip Singh Dharmi, also from Brampton was arrested on Aug. 11, 2009, after Canada Border Services Agency officers found 117 kilos of cocaine in his tractor-trailer. He was bringing back a load of aluminum coils. He, too, was found not guilty. Of the 15 to 18 significant drug seizures at the Windsor-Detroit crossing each year, about 75 per cent involve Indo-Canadian transport drivers, many of them recent immigrants to Canada, said federal prosecutor Richard Pollock. Canadian trucking company owner Parminder Sidhu pleaded guilty in a Buffalo court in 2014 to conspiracy to export from the United States more than five kilograms of cocaine. The charge carries a minimum 10-year jail sentence, though Sidhu could also face a maximum of life in prison as well as a $10,000,000 fine. Sidhu was the owner of a trucking company, Prime 9, and had trucks outfitted with secret compartments that allowed drivers to bring thousands of pounds of cocaine into Canada. Between 2009 and May 10, 2011, Sidhu conspired with Michael Bagri and Ravinder Arora to export approximately 1,617 kilograms of cocaine cocaine from the United States to Canada.